Make someone's day with a handwritten message for all to see. 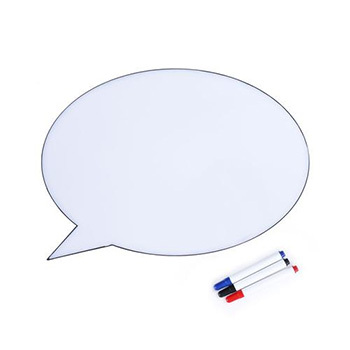 Write, erase, and start again on this LED Speech Balloon. Perfect for home or the office and guaranteed to make everyone smile. PERFECT GIFT FOR MANY OCCASIONS: Perfect for your parties, birthday, anniversary, wedding, special events or inspirational mottoes etc. Even special gifts for Christmas, New Year, Valentines, and for child literacy education! Measures 12.40 x 2.17 x 9.06 "
1 x Handwriting Light Box(Battery is not included), 3 x Pen.